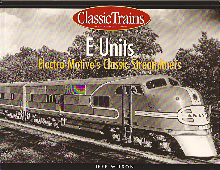 This volume cover Electro-Motive's E Unit diesels from the EA to the E9. Well illustrated. This book is out of print and in limited supply.